We are a concert wind band consisting of adult learner musicians. We play on Friday evenings in the hall attached to Christ Church, Sutton, at 7.15 pm during term time and at various concert venues throughout the year under the leadership of our Musical Director, Tony Ryan. We are no longer affiliated to Sutton College. 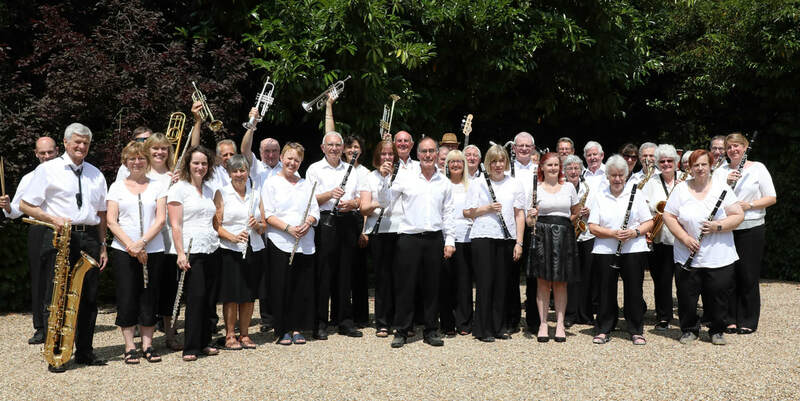 Whilst junior players have many youth bands and orchestras to help them along, there are far fewer opportunities for adults who take up an instrument later in life or choose to return to playing after many years absence. We continue to welcome new players with little experience of ensemble playing although we do ask for Grade 4 proficiency or above. If you are interested in joining please visit our contacts page. Woodwind - Flute, Oboe, Clarinet, Bass Clarinet, Alto/Tenor/Baritone Sax, Bassoon. The accent is on cheerful and fun!